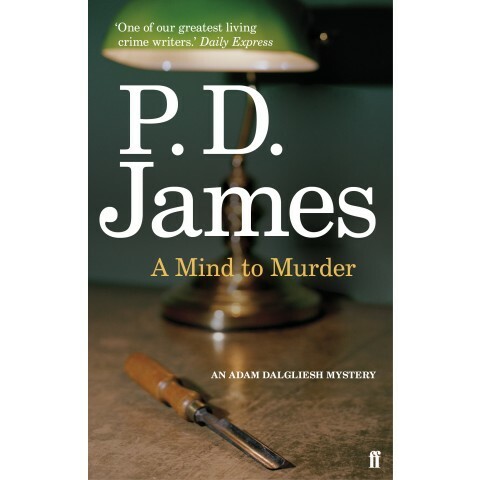 A private clinic, psychiatrists and their patients: potent territory for a crime novelist such as PD James. The clinic administrator is found murdered in the basement archive, a chisel through her heart. The potential murderer must be within the clinic’s staff and as they set about analysing each other’s alibis and motives, Commander Adam Dalgliesh arrives from a literary party. A classic PD James, although for me a trifle slow-moving at times as the layout and routines of the clinic are necessarily explored. The culprit? An early suspect I had barely considered. Dalgliesh’s task is complicated by office politics, blackmail, love affairs and ambition. Listen here to a clip from the audio book of A Mind to Murder. Read by Roy Marsden, who played Adam Dalgliesh in the 1995 TV movie. Published in 1963, this is the second of the Adam Dalgliesh mysteries. To read my review of the first, Cover Her Face, click here.